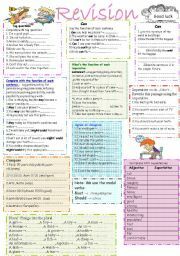 A Grammar revision worksheet deals with functions of different modals:may,might,could and can,as practice of tag questions,comparatives,superlatives,agreement and disagreement and finally the plural form.the correction is provided ,hope you´ll find it useful. 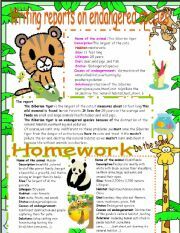 Writing reports on endangered species using information related to the given animal. 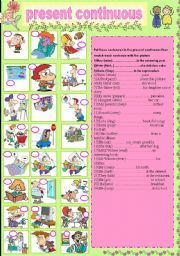 Revising the simple past tense by giving the correct form of regular and irregular verbs then matching sentences with the corresponding picture. 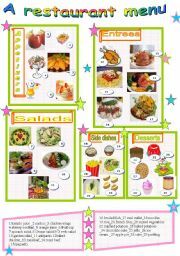 A restaurant menu for both elementary and other classes. 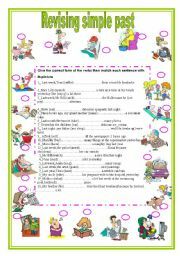 AGRAMMAR GUIDE FOR ELEMENTARY DEALING WITH VERB TO HAVE WITH THE THREE FORMS INCLUDING EXERCISES . 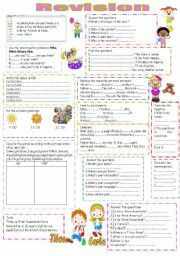 A reading comprehension for elementary classes dealing with health problems. A reading comprehension for intermediate classes adapted from New concept English,an integrated course for intermediate students.